Most people are aware of New Mexico's reputation for superb Mexican and Southwestern cuisine and Native American culture. As if that was not enough, the spectacular mountains of New Mexico create an awe-inspiring backdrop for these cultural and gastronomic attractions. Many of these mountains are home to full-service ski areas. New Mexico's high altitude environment translates into long, snow-filled seasons. New Mexico has 10 major ski resorts. While some are acceptable for all levels of proficiency, others are best suited to advanced skiers and riders. Some of the ski resorts in New Mexico are more commercialized than others. In general, these tend to be more expensive. Fortunately, affordable rates can be found at the smaller ski areas. Taos has a prime location in the Carson National Forest, which is located 18 miles from the Town of Taos, New Mexico. Since the ski resort is 2,000 feet higher than the town, you might want to spend a day or so in Taos to acclimate. The Taos Ski Valley was the brainchild of the legendary Ernie Blake, who dreamed of building a European-style alpine village that was similar to those found in his native Switzerland. Although the terrain at Taos is quite challenging, their special six-day ski clinics have been known to make experts out of intermediates. In fact, the Taos ski school is one of the most prestigious centers in North America. Until 2008, Taos was a skiers-only mountain. Snowboarding is now permitted. Ski Santa Fe is located in the Sangre de Cristo Mountains. The resort is 16 miles away from the historic town of Santa Fe. Ski Santa Fe has a base elevation of 10,350 feet which makes it one of the highest ski resorts in North America. Fortunately, Santa Fe is a fascinating city, so spending a few days there to acclimate can make for an interesting vacation. Ski Santa Fe has a fully equipped terrain park, which makes it a popular destination for snowboarders. Ski Apache is located in Mescalero, New Mexico. The resort has 55 trails, and is situated at an elevation of 11,400 feet. Ski Apache is interesting, because it is actually owned by the Apache Native Americans. The Inn of the Mountain Gods Resort and Casino is also owned by the Apache tribe and offers ski in ski out lodging. Like Ski Santa Fe, Angel Fire is also located in the Sangre de Cristo Mountains. However, this resort has a strong focus on family programs. The resort boasts a 6,000 square foot Children's Ski and Snowboard Center which offers a wide variety of programs for kids. Angel Fire also has a full-service cross-country ski area which offers Nordic skis and snowshoe rentals. However, its kid-friendly programs and cross-country skiing does not mean that Angel Fire is strictly for beginners. In fact, the Back Basin is home to some of New Mexico's steepest terrain. If you plan to ski the Back Basin, be sure to start a ski fitness program before you go. This terrain can only be accessed by hiking. As mentioned, New Mexico's high altitude means superb snow conditions. 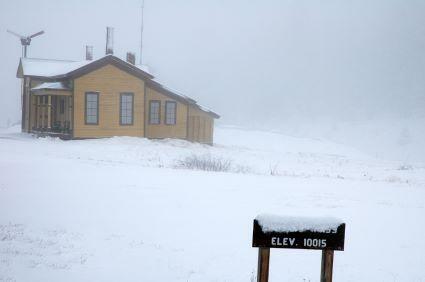 However, if you are traveling from sea level, strenuous activity at elevations of 8,000 to 12,000 feet can be dizzying. Spend the first few days acclimating to the altitude. Visit the shops, galleries, museums and restaurants. While they may be tempting, avoid the Margaritas until you are fully acclimated.